August 22, 2016 Denny Rogers, owner of the Jornada Water Company, hosted a field trip to their well on Highway 28 near Carver Road. 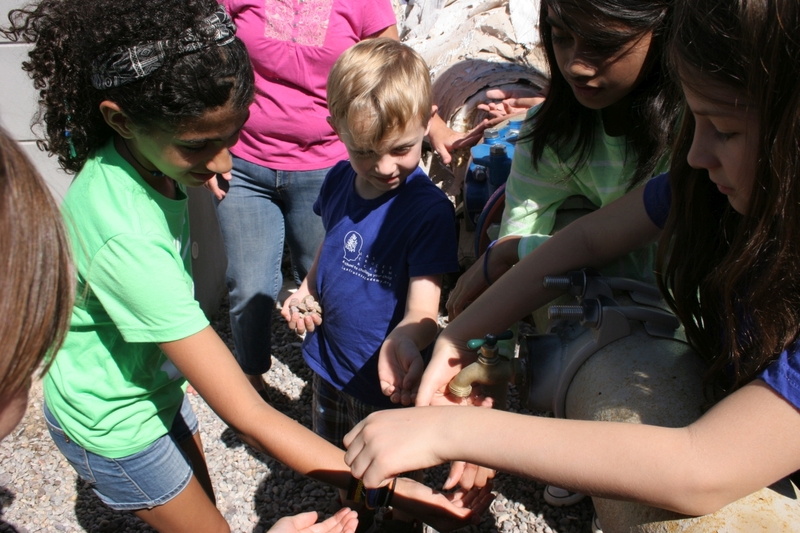 For over an hour we learned incredible details about how water is found, pumped, treated, measured, and priced. In 30 days, the City of Las Cruces will take over, after 34 years of the company operating privately and successfully. Among the interesting facts: the well is 600 feet deep to reach the best-quality water, which then would pool without pumping at 60 feet. This well pumps 600 gal/min constantly, pushing water to big storage tanks (and to some customers along the way). The water is lightly chlorinated, sufficient in fluoride for our tooth health, and given very small amounts of phosphate to keep mineral elements such as the natural iron and manganese from creating harmless but discoloring precipitates. Like all water everywhere, it has traces of uranium, at a safe level.